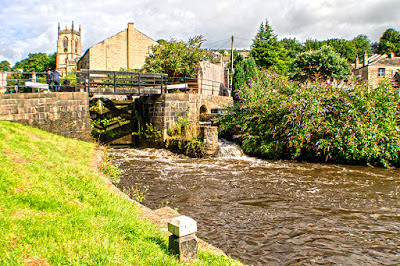 Colin Green Photography: A Walk around the Wharf, Sowerby Bridge on a Summer's Morning. A Walk around the Wharf, Sowerby Bridge on a Summer's Morning. 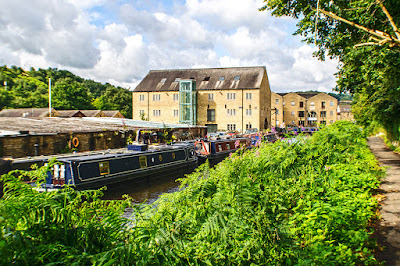 I found myself with half an hour to pass I decided to take the camera out and for a short shoot and walk session around the canal wharf at Sowerby Bridge. 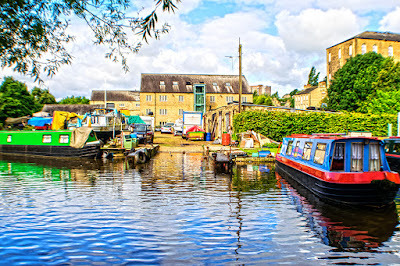 The wharf is also the junction where the Rochdale Canal meets the Calder & Hebble Navigation. 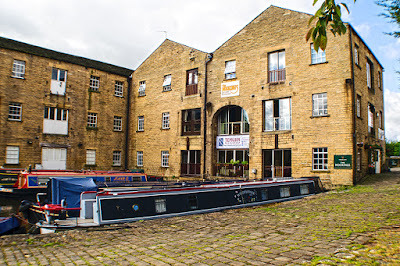 Well a little bit of history on the wharf, initially the Calder & Hebble Navigation reached Sowerby Bridge during the 1870's and warehouses 1 and 2 were built, these now house the Moorings bar and Temujin restaurant, as well as a number of other small businesses and are Grade II listed. 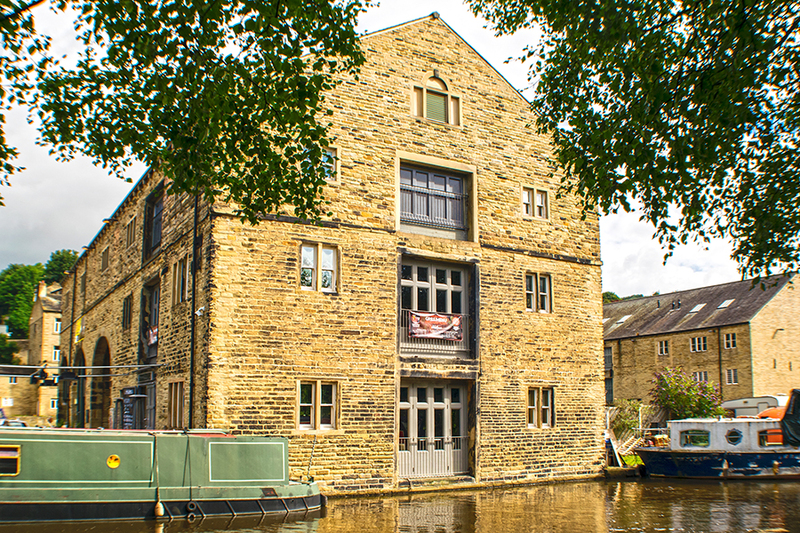 When the Rochdale Canal act was passed in 1793 the Calder & Hebble canal company were told to build whatever wharves and warehouses the Rochdale Canal required at there expense, this lead to the development of warehouses 3 &4 with number 3 becoming known as the salt warehouse due to the storing of salt there. This is the only warehouses that offers canal side access to both the Rochdale Canal and the Calder & Hebble Navigation. Again both building are Grade II listed and have been developed as small business centres alongside the existing boat yard. 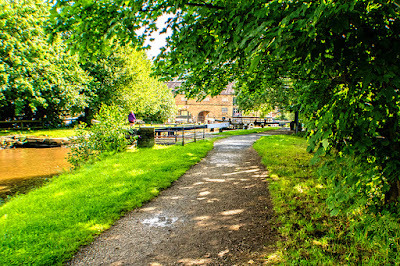 The walk I took started at lock number 2 before Tuel Lane Tunnel and I followed the Rochdale Canal path passed lock 1, warehouses 3 & 4, the Kirkham Turn where the canals meet to Chain Bridge which crossers the Calder & Hebble Navigation alongside the Navigation Inn. I then walked the opposite towpath back towards the main basin and warehouse number 1. The pictures were taken on the 19 July 2017 using my Nikon D3300 DLR camera. The full album of 23 pictures is a Clickasnap exclusive with the exception of the 6 pictures of reduced size posted here. Please click the link below the pictures to view the full album. Click Here to view "Waves Away" full size on Clickasnap. 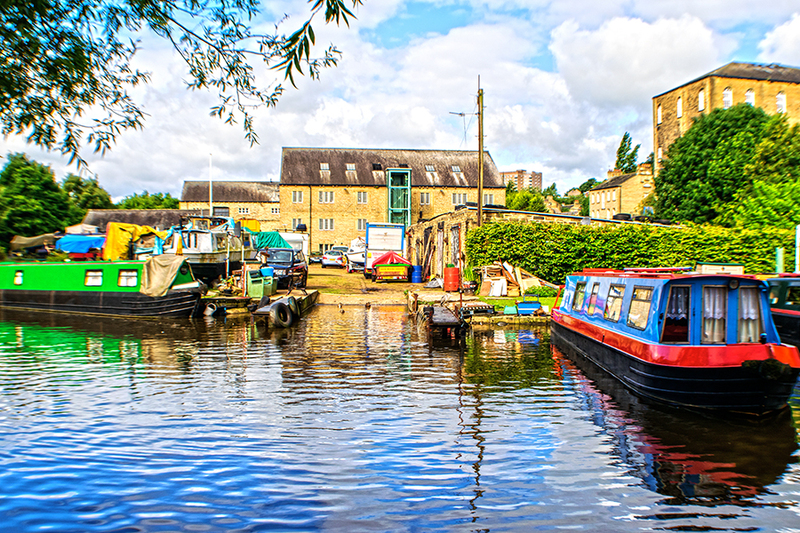 Click here to view "Warehouse 4 and the Canal Barges" full size on Clickasnap. Click here to view the full album of 23 pictures on Clickasnap. Again the link opens in another window. All my pictures are available to download for a small fee or to buy in prints. Some pictures are also available to download for free. A small selection of the pictures have been edited into this YouTube album above. The full set can only be seen on Clickasnap.